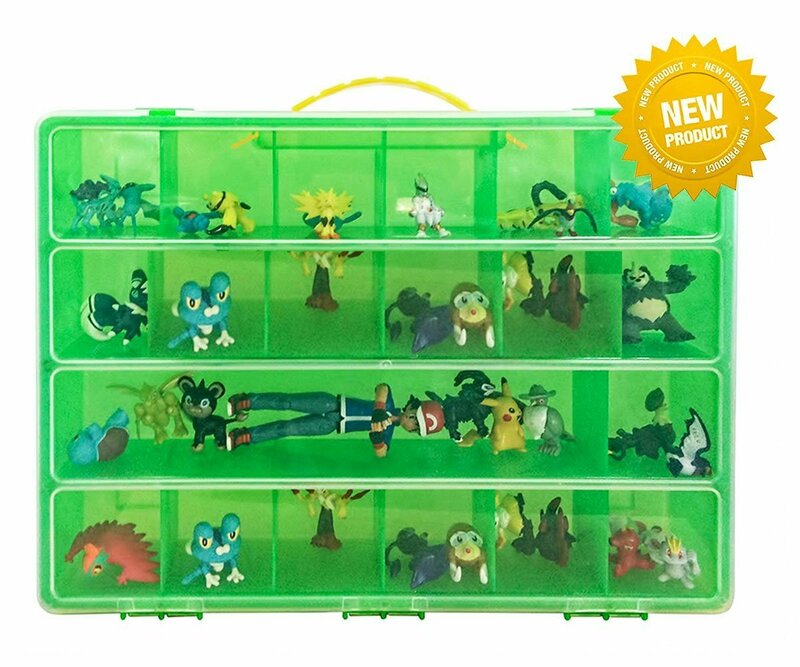 Home › Toys › Battle Toy Organizer - The Perfect Toy Figure Storage Box- Fits Up To 40 Figu..
Battle Toy Organizer - The Perfect Toy Figure Storage Box- Fits Up To 40 Figu..
BATTLE TOY AND MINI FIGURE CASE: Designed To Perfectly Store Battle Toy and Mini Figures . Watch your children smile carrying around their favorite toys in this colorful carrying case. Mini Toy Figures and Construction Sets Organizer - Perfect Building Blocks Compatible Storage Box - Stores Up to 50 Little Pieces and Mini Figures Mini Toy And Construction Set And Storage Case -Perfectly designed to fit All Mini Toys for endless play . -Tight Lid Helps keep all of your Child's small toys off the floor and Into A Case -This Perfect Storage case contains 17 separate sturdy compartments to neatly your organize your build blocks -NO breaking plastic pieces apart to build your organizer as with other storage boxes. - Perfectly compatible Building Blocks Storage Organizer. - CUSTOMER SATISFACTION GUARANTEED: We love our customers and will do everything to guarantee your satisfaction with our products. If for any reason you're unhappy with our product we offer a full refund - no questions asked. - Durable shatter resistant molded plastic. - Sturdy handle - Easy carrying for little hands. IMPORTANT: This perfect organizer DOES NOT COME WITH TOYS> TM . Order yours now and wait to see the joy on your child's face when they receivethis beautiful Life Changing Storage box.